Wikipedia is the most referred encyclopedia. It’s online, anyone can access it. The only requirements are an internet connection and an internet browser. It’s updated many times each day, unlike a print version. Fresh facts are added to the pages, almost every day, making Wikipedia the most updated Encyclopedia or reference hub in the world today. An army of editors ensure that the information is not only updated but also that it is trustworthy. Therefore, only notable organizations and individuals have a presence on Wikipedia. The barrier to getting a page in Wikipedia is extremely high and stringent. Majority of the attempts at creating Wikipedia pages fail since quality, credibility, notability, and references do not meet the exacting requirements of the Wikipedia Editorial team. Banks are the very backbone of the economy of a nation. They are well represented on Wikipedia. In this post, we cover UAE based banks, i.e. 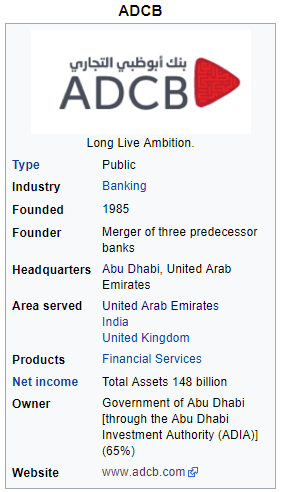 banks formed in UAE and having their headquarters in the United Arab Emirates. Since banks are institutes which operate under a great degree of trust, their Wikipedia page needs to be up-to-date. The people who steward the institution – the CEO and the Director board members are to be individuals of reputation and credibility – with each person having their own respective Wikipedia pages. Sidetracking a bit, the banking climate in the UAE is all set to roar in terms of asset growth and profitability during 2018 and 2019 owing to changes in the banking guidelines. This year, the implementation of the International Financial Reporting Standard 9 (IFRS 9) requires that the banks set aside provisions for loss expectations. In turn, ensuring banks are better at managing their provisions. The banking sector in UAE consists of 45 commercial banks, out of which 50% are foreign banks. This post focuses only on UAE based banking entities. What makes a good Wiki page? A bank’s Wikipedia page provides the key information of the bank – all on one page. It should contain a short note on its history, key facts as well as the information of the stakeholders of the bank. Prudence to provide brief, credible information makes the page a popular reference point for people in UAE, and globally, to get unbiased information. Thus a good wiki page will have a detailed info box, an intro, a box of contents, overview about the entity including the history of the entity. References to latest news will also be provided. The page is also required to have an external link to the bank’s website. The carefully curated information should gain attention of the visitors to the page. Above all, a good Wikipedia page should have useful, trustworthy and insightful information in a nutshell. We have compared and analyzed a few good Wikipedia pages and some others which lack even the basic components of a Wikipedia page. The Info Box should ideally carry the logo of the bank, the number of employees, assets, areas of operation, the year the bank was established, the number of branches etc. A visitor to the bank’s Wiki page will gain in-depth understanding and in turn the bank will garner appreciation from the visitor. 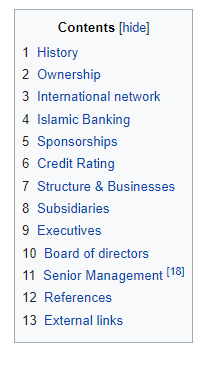 The info box of some of the banks in Wikipedia as of 26th July 2018 is provided below. While some of these are impressive, a few others are weak. Wikipedia pages provide quick insightful information, which can be otherwise elusive. Wikipedia can thus be a quick barometer which can help a person access a banking institution easily. For example, BBC reported a story of a man called Foutanga Babani Sissoko swindling the Dubai Islamic Bank of $242 M using “black magic”. This improbable story would have been difficult to dig up. Sissoko’s Wikipedia page has all the details about it along with a link to Dubai Islamic Bank’s Wikipedia page. Like any institution, banks undergo transformation, takeovers and mergers. When these are not updated, it communicates a lax management style and careless attitude towards digital media. All mergers and acquisitions are not to be limited to tangible physical assets alone but one should also consider the bank’s online real estate like websites, Wikipedia and social media pages. 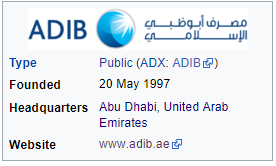 The Dubai Bank was taken over by the Emirates NBD but the Wikipedia page of Dubai Bank continues without any updates about this development. 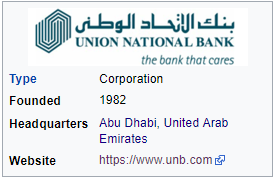 The link to the website on the Wikipedia page does not exist and points to the negligent attitude of the Emirates NBD. In this day and age where cyber crimes thrive, creative criminal syndicates can potentially exploit this situation. The banks with well-crafted Wiki pages are listed on top. 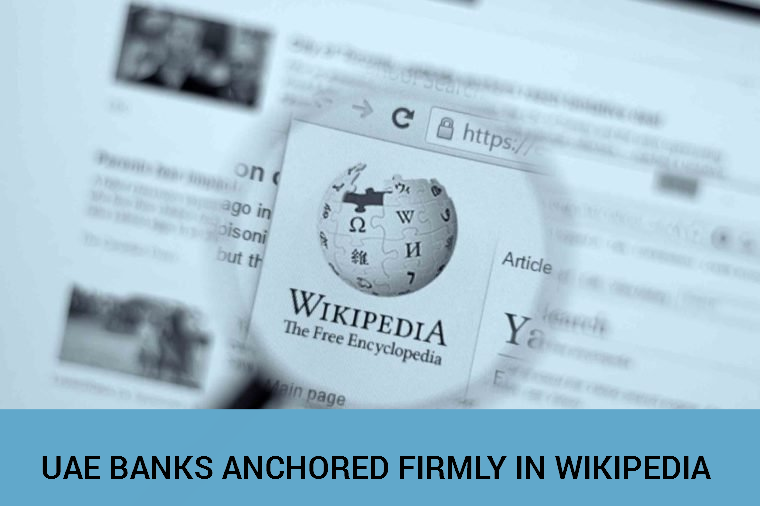 Some banks do maintain Wiki pages, but can do a lot in improving and enhancing the existing content on their pages. Some other do have pages without any content on it. If you are looking at improving your existing Wikipedia page or need help in creating one, then we can help you out. With over 16 years of experience in digital technologies, web development and design, GMI’s teams of experts can create and edit pages in line with Wikipedia’s rules and policies. Talk to us today. Google Panda & Google Penguin – Are you affected?